We love to laugh. We love life. We love coffee. We love music, and we love LOVE! But back to the music, because that's why you're here. Jordan began playing piano at the age of 9. He has a background in musical theatre as well as 17 years of experience leading bands for worship services. He has a passion for high production quality and is very flexible and adaptable, with a quick mind and a good ear. Sarah has been playing piano since the age of 5 and guitar since she was in high school. She, too, has worked with worship teams for 14 years. She began write music at the age of 16 and, since then, has enjoyed sharing her music in a variety of settings including local and international music venues. 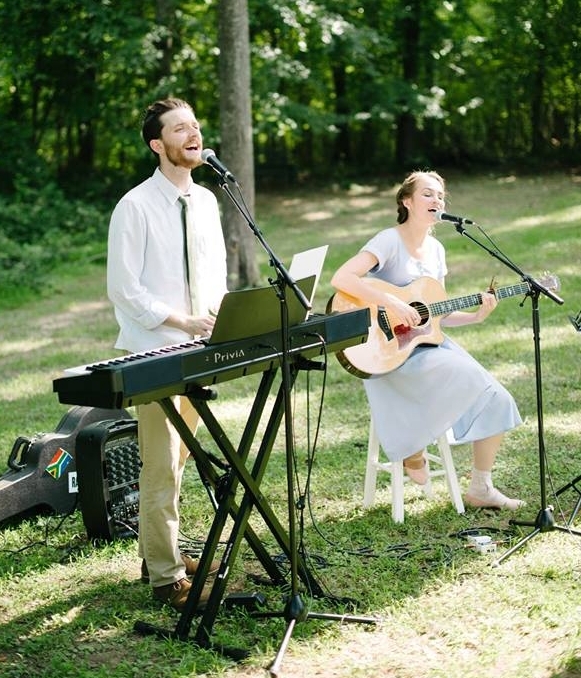 Individually and together, they have facilitated and performed ceremony music for many weddings.